After a few years of trout in winter and barramundi in summer, we decided to try Silver Perch. We have heard they are good eating, plus…. 1. 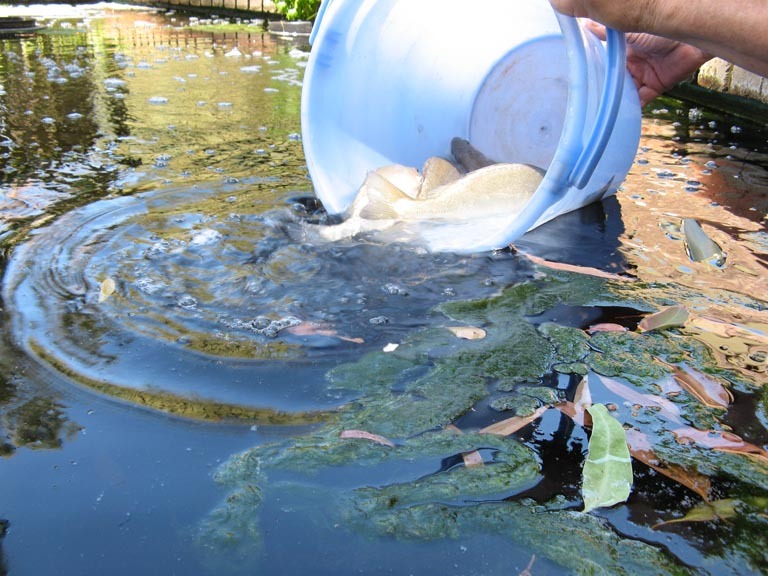 With barramundi and trout, at the end of each season it is necessary to monitor the temperature of the pool to ensure it isn’t too cold for barramundi or too hot for trout, depending on the season. Once the temperature reaches a critical level for a prolonged period it is imperative to remove the fish before they die. Each of these breeds survives and grows only within a certain temperature range. Though it works quite well to have barra in summer and trout in winter, there was a certain pressure to get them all out when their time was up. 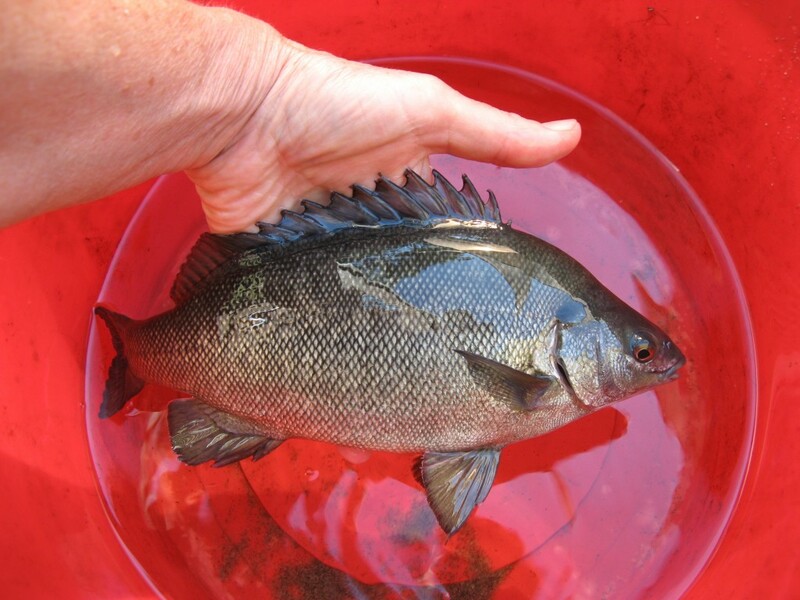 Perch however will survive in a much wider range of temperatures and can stay in the pool all year round. They won’t grow in winter, but will survive and then continue their growth the following summer (taking two seasons to grow to ‘plate size’ unlike the barra or trout). 2. The pool used to get a fair bit of string algae in it, and perch eat this much more than either barra or trout. This makes it much nicer for us to swim in it each summer! 3. 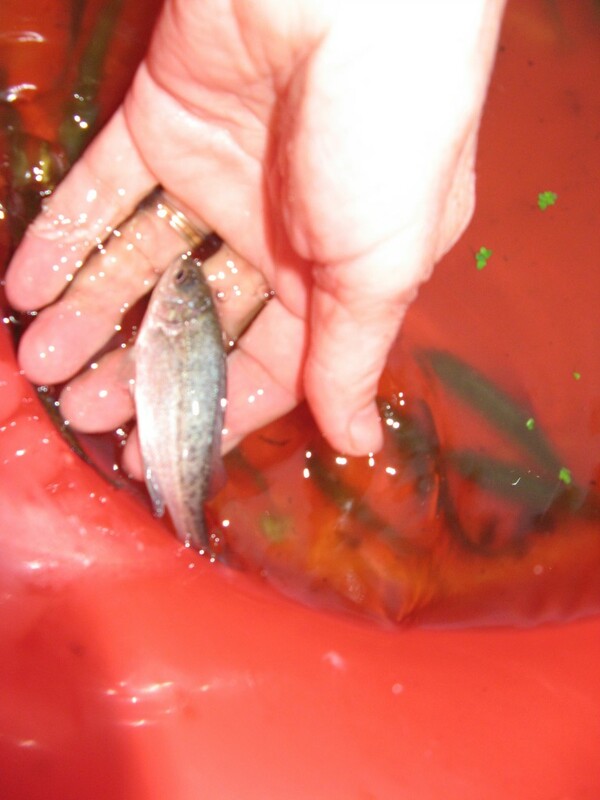 The perch do not eat each other, so fingerlings can be added each spring even with quite large perch still in the pool. This will enable us to keep a cycle of fish going all year round. 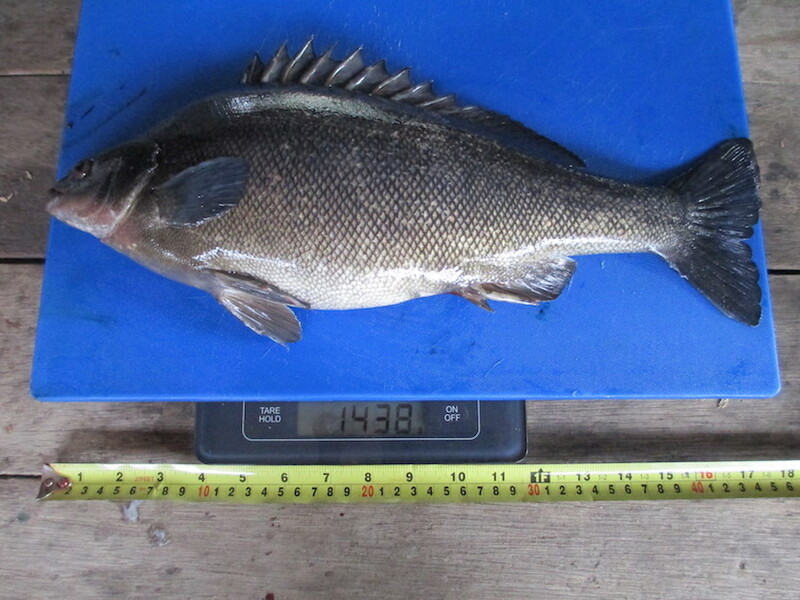 some of the original perch are now over 30cm long! Despite their slowing growing rate than barramundi or trout, we are very pleased with their progress! April 2012-the fingerlings from November 2011 are now a good size! ….and now look at them! When we feel like a perch for dinner, we go fishing! 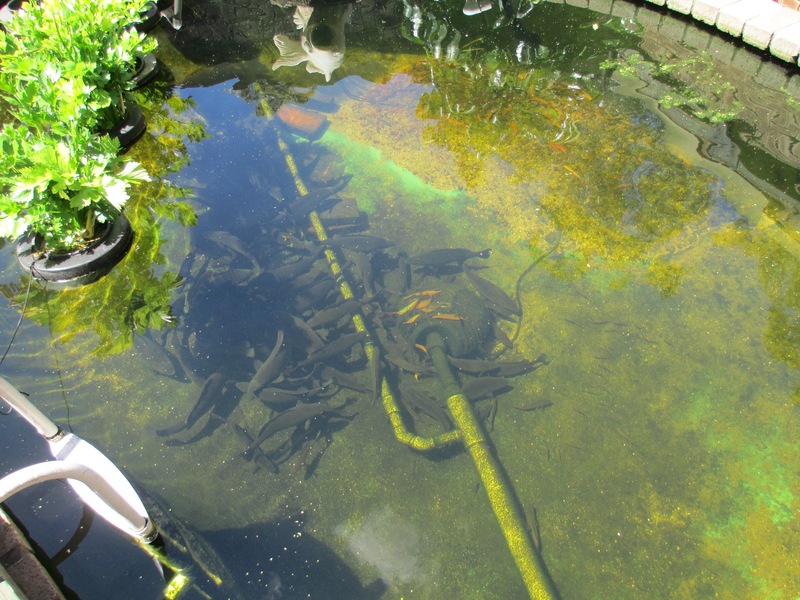 They love raw prawns, or worms from the aquaponics grow beds, on a small hook.